I have just watched the entire movie Albela and I have to say, EVERY song in this movie is a delight! C. Ramchandra was truly amazing (and that’s not a phrase I overuse – I don’t think…). I also love most of the lyrics, by Rajendra Krishan. And by the way, I consider myself particularly lucky to find subtitles for all these lyrics, since Tom Daniel aka Tommydan1 made previously un-subtitled songs available with special translations by Ava. (I understand that Ava translated as many as eight songs from the 12 in this film. Which ones? Don’t tell me, let me guess – I’m sure I’ll get it right.) Tom and Ava – what a great team we have in our midst now! Though I also understand that Ava might not be the only person translating songs for Tom… Well, this Hindi-challenged person is going to be ever-grateful! But getting back to the movie itself… I’m not going to bother talking about the plot, because it really is nothing. You’ve seen this stuff in many Hindi movies already, and the plot development certainly is nothing special to speak of, especially when the villain enters the picture – which leads to a few stretches that got me pushing the fast-forward button. But in the end, it doesn’t matter, because not only is the music great, not only are the lyrics great, so are the performances. Bhagwan is one funny guy here! 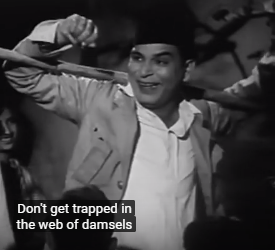 I don’t always “get” the comedy in old Hindi movies; sometimes it seems to lose something in the translation. But this guy had me in hysterics a few times. Plus, he is a very interesting dancer, with some unique steps to his credit (steps that I understand have been oft imitated by none other than Amitabh Bachchan). 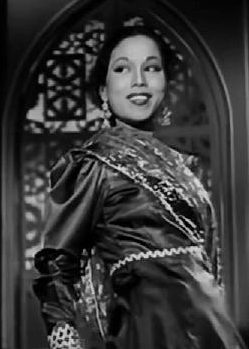 There are also some interesting minor performances here – most notably, the Barsaat “red dupatta” girl, Bimla Kumari, playing a character named Bimla… And I think all the characters in this film were played fairly well, if only the plot weren’t…well, never mind the plot – just listen to that music! Or I might just decide that it’s one of the other eight songs in this movie as I continue to listen to the soundtrack – which I expect I will be doing for a long, long time to come. The songs are amazing, aren’t they? C. Ramchandra- 1951- so innovative for his time! I just love the music of the movie. The movie is still a big fav with my mom! I really must get around to seeing Albela sometime. It’s still sitting on my desk, waiting its turn… and what with the double attraction of Geeta Bali and C Ramchandra’s songs – yep, this needs to be nudged up to the top of the pile! It’s good to know that everyone is as amazed by C. Ramchandra as I am! 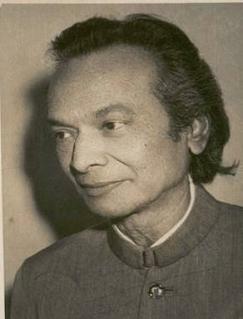 Bawa, yes, he was so innovative! Dustedoff, I am happy to hear that this movie is being nudged to the top of that pile now. The movie released a decade before I was born, and the songs still get my feet tapping. In April 2011: There is no Part 19, of the DVD at Mediafire. I don’t know the effect that would have on burning/playing. P.S Only recently found this site whilst searching for Geeta Bali. Look forward to reading a lot more. Thank you. Thanks for letting us know, Mark. This isn’t the first time MediaFire’s lost files. I’ll replace it when I get time.